We'll explore each in detail in this blog post, but here's an overview of the savings. 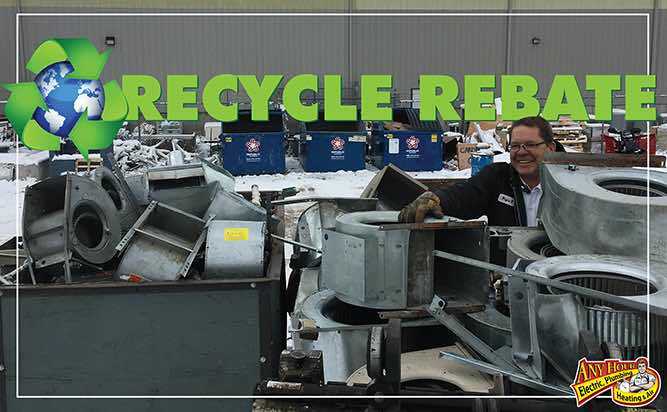 $250 Off Any Hour coupon, $100 recycling instant rebate, $300 "keep our guys going" incentive and a possible $450 Questar rebate on qualifying equipment. Any Hour Services has been making a name for itself as a company that tries to help. They want to help their people by making sure they have the best, family friendly work environment with plenty of opportunities to succeed. They try to help homeowners by educating them and making sure they understand how the equipment in their homes work. They believe that when homeowners have a better understanding of how something works, they feel more confident about their decisions to repair or replace the equipment. This winter has been a strange one. The cold hit about 3 weeks later than it did the year before and when it hit, there wasn't the influx of calls like years past. Any Hour Services counts on the "busy season" to have enough work for their technicians. We assume the rush is right around the corner but in the meantime, we can't wait. The managers at Any Hour Services got together and came up with a plan. Now Any Hour Services can help both their people and the homeowners they serve. By offering homeowners the ability to save more money they are providing more opportunities to keep their people busy and provide for their families. Here is how Any Hour plans to save homeowners money. 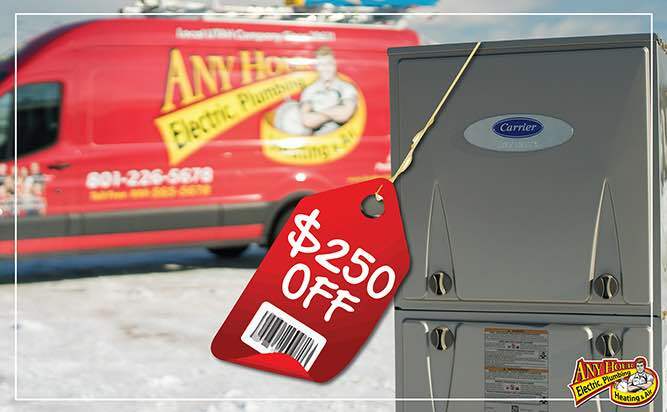 All year Any Hour Services offers homeowners $250 off the purchase of any new furnace or air conditioner. Here's where they really start to get creative to save homeowners more money. Any Hour Services replaces so much equipment every month they employee people to scrap old equipment and recycle it. So Any Hour will give you $100 off for your old equipment, at the time of purchase. Here's where they are really showing the community love. 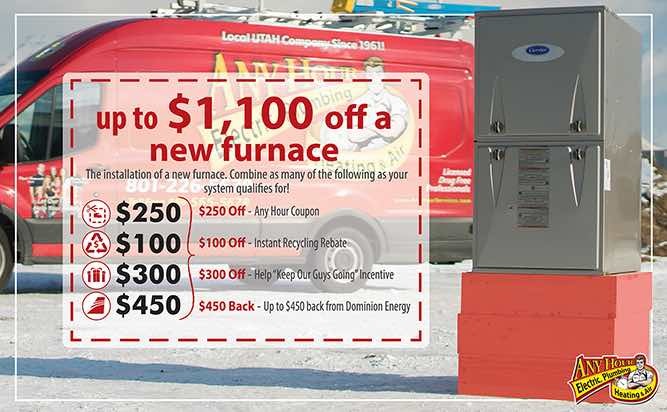 This is one of the biggest reasons this is a great time to buy a new furnace. No one does this. Up to this point, if you are doing the math, you can save $650 regardless of the unit that you purchase. Want a basic unit . . . Save $650. Want a fancy, high-efficiency unit . . . Save $650. No tricks or gimmicks. Here's where you can save an additional $450. 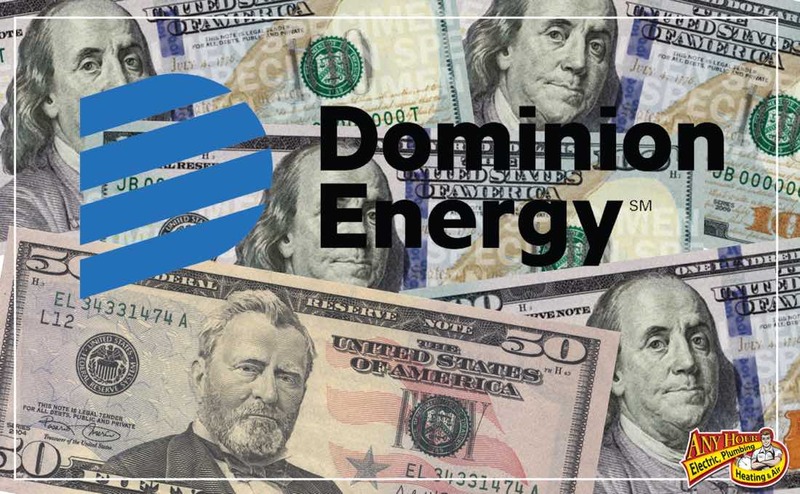 We have many models that qualify for the rebate but Dominion Energy only gives this rebate on the models that are more energy efficient than the basic units. This usually means they cost more but with this deal Any Hour Services has going, this is a great time to get a high-efficiency unit for the cost of a basic unit. The thing I like most about this deal is that you know exactly where Any Hour came up with the numbers and why. The fact of the matter is, they can’t offer this deal all the time. They are only offering these savings until the busy season hits. They expect that to be sometime in January so that is how long the deal lasts, until the end of January. 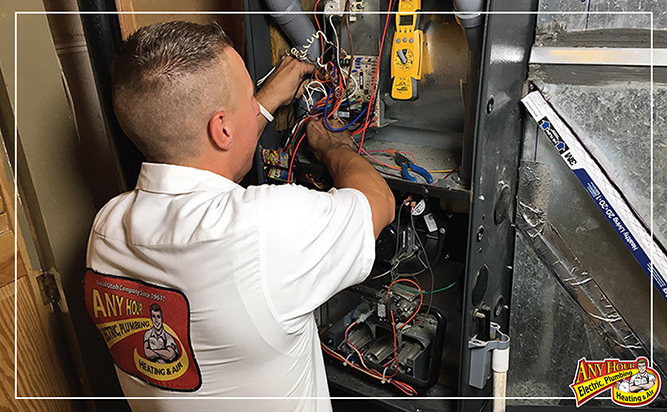 Call 801-443-7272 to speak to an Any Hour Services call taker and they can schedule an appointment for an HVAC supervisor to come to your home and answer all your questions. Or CLICK THIS LINK to fill out a form and have someone from Any Hour Services contact you or click on red chat icon (on bottom of page) to schedule an appointment.